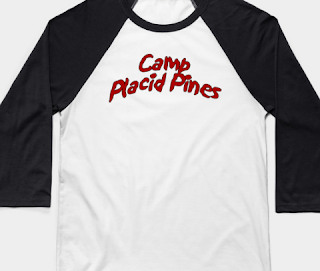 I designed a new Camp Placid Pines baseball tee for ya, campers. It's simple, but kind of cool, I guess. It's currently on sale for $14 (regularly priced at $20). It's also available in a hoodie as well. Grab yours. 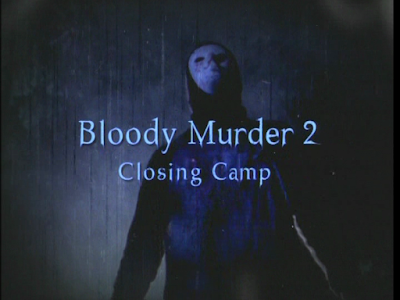 I recently received the Canadian region-free DVD for Bloody Murder 2 and I noticed it has the original BM2 title screen with the Closing Camp subtitle. Admittedly, it was a little strange to see, since the US DVD doesn't have it. Anyway, thought it was a cool find. I've had an urge lately to kick some new life into this old site. So I've brought back the Screenplays By Us section and added an IRC chat room (just in case). I've also been working on the Where Are They Now? pages of the BM1 and BM2 sections...so those should be kind of, sort of complete here shortly. The forum is slowly chugging along, only active posters are me and Matt Mosley. But it's all good -- I never expected the glory days to come flooding back...just happy to have the message board back and at its original location. That's about it, for now, campers. Take care and have a Merry Christmas (or whatever you celebrate, just enjoy the day). It's been almost 3 years since my last update post on the site. Well, that hiatus ends now. I have updated the look of the BMF Forum as well as many of the pages here on the site (also slightly changed the color scheme). The Where Are They Now? section of Bloody Murder has been updated with info on Christelle Ford (Drew Zemke). 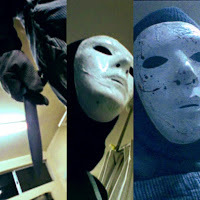 Since my last update (June 2015) I have confirmed that the movie The Butcher was, in fact, written as Bloody Murder 4 (a sequel to The Graveyard). So I hope that clears up any confusion on the matter. Also, be sure to follow BMF on Twitter and Facebook! 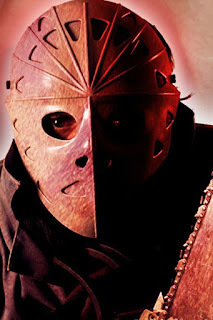 Well, after about a seven-year hiatus, the Bloody Murder message board is back up and running (and with the original URL, too!). I've tried my best to get it back to looking the way it did back in 2008. Obviously, there will be a few updates coming to it. I can't believe how much ProBoards has changed!